Amazing HOAs Photo Gallery to Enjoy Poetry Snippets on Beautiful Images! On the HOAs Photo Gallery you have more than 1000 pictures to enjoy, read excerpts of poetry from my poetry book and get some beautiful pictures to design any corner of your environment. hoa-politicalscene.com - HOAs Photo Gallery: Couplet of emotional poetry from "Weaning of Vigilance", by poet and journalist Khalid Mohammed Osman designed on Marilyn Monroe's picture. I posted these photos at an account I had for one month on instagram and the account is deactivated for unknown reasons. So, I decided to do such efforts on my website. I published more galleries on the Horn Africas Network at HOA Calls, HOAs Gallery and HOAs Poets Gallery. There are some pictures on others pages you can view on the website, when you connect to them from the HOA Political Scene Blog. hoa-politicalscene.com - HOAs Photo Gallery: Couplet of poetry from "Second Birth of the Tree", by poet and journalist Khalid Mohammed Osman designed on Marilyn Monroe's Picture. 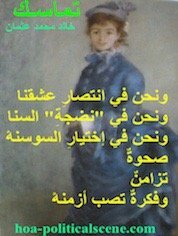 As you see the snippets of poetry are in Arabic. But, despite that, you can print the images, if you liked them to use at home and office, or in other public workplace, as stated on the gallery pages. The Rising Phoenix Picture Book is on the iTunes, so you could take and rate it. 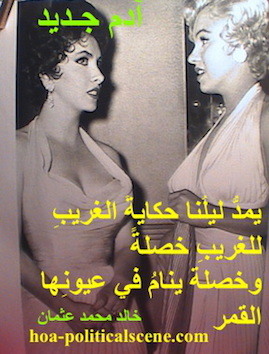 hoa-politicalscene.com - HOAs Photo Gallery: Couplet of poetry from "New Adam", by poet and journalist Khalid Mohammed Osman designed on a picture of Marilyn Monroe and Elizabeth Taylor. hoa-politicalscene.com - HOAs Photo Gallery: Couplet of poetry from "Second Birth of the Tree", by poet and journalist Khalid Mohammed Osman designed on one of Marilyn Monroe's pictures. Get Inspired by the HOAs Photo Gallery! You could be creative regarding the way you use those pictures only for decoration, or what to do and where to place those posters. You can print the posters for your cafeteria, or restaurant, or pub, or make stickers for your car. hoa-politicalscene.com - HOAs Photo Gallery: Couplet of poetry from "Cheeky Dream", by poet and journalist Khalid Mohammed Osman designed on a picture of Marilyn Monroe sitting and thinking. hoa-politicalscene.com - HOAs Photo Gallery: Couplet of poetry from "Cheeky Dream", by poet and journalist Khalid Mohammed Osman designed on a beautiful picture of Marilyn Monroe. 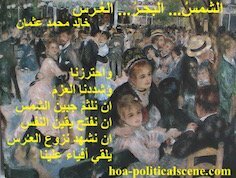 hoa-politicalscene.com - HOA's Photo Gallery: Couplet of poetry from "Creation", by poet and journalist Khalid Mohammed Osman designed on Pierre Auguste Renoir's "Bather with Griffon". 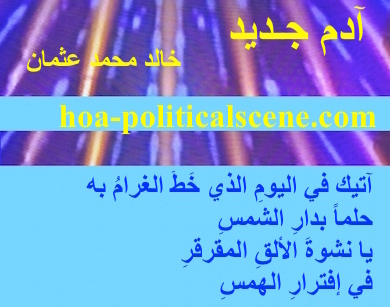 hoa-politicalscene.com - HOAs Photo Gallery: Couplet of poetry from "The Sun, the Sea, the Wedding", by poet and journalist Khalid Mohammed Osman designed on beautiful mixed colors. hoa-politicalscene.com - HOA's Photo Gallery: Couplet of political poetry from "The Sun, the Sea, the Wedding", by poet and journalist Khalid Mohammed Osman designed on Varadero, Matanzas, Cuba. 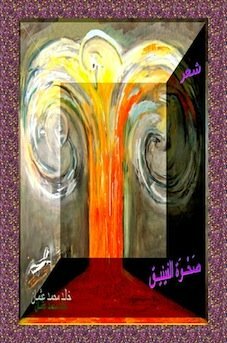 hoa-politicalscene.com - HOA's Photo Gallery: Couplet of political poetry from "New Adam", by poet and journalist Khalid Mohammed Osman designed on a beautiful image by the poet. 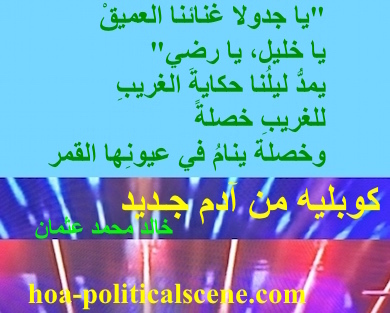 hoa-politicalscene.com - HOA's Photo Gallery: Couplet of political poetry from "New Adam", by poet and journalist Khalid Mohammed Osman designed on glamorous partitioned design by the poet. 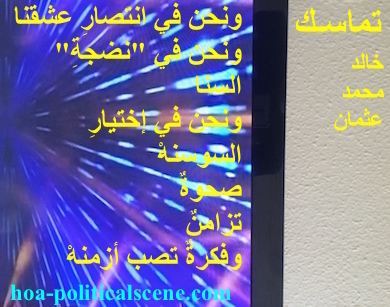 hoa-politicalscene.com - HOA's Photo Gallery: Couplet of political poetry from "New Adam", by poet and journalist Khalid Mohammed Osman designed on by the poet on 3-division picture flipped vertical. 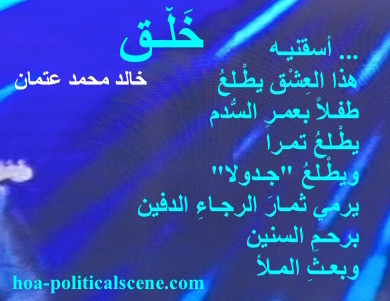 hoa-politicalscene.com - HOA's Photo Gallery: Couplet of political poetry from "New Adam", by poet and journalist Khalid Mohammed Osman designed and partitioned into 3 on a beautiful picture. 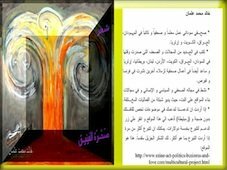 hoa-politicalscene.com - HOAs Photo Gallery: Couplet of political poetry from "For Sinbad, the Child and Parturition", by poet and journalist Khalid Mohammed Osman on beautiful evening picture. 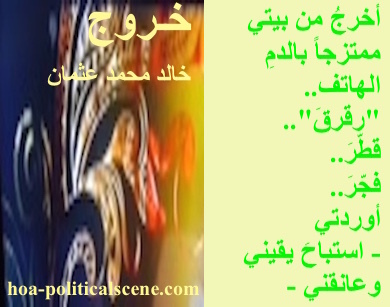 hoa-politicalscene.com - HOA's Photo Gallery: Couplet of political poetry from "Exodus", by poet and journalist Khalid Mohammed Osman designed on glamorous design by the poet. 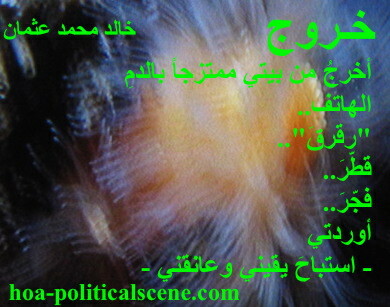 hoa-politicalscene.com - HOA's Photo Gallery: Couplet of political poetry from "Exodus", by poet and journalist Khalid Mohammed Osman designed on underwater coral reefs during creation. 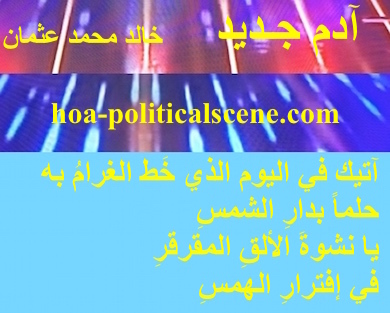 hoa-politicalscene.com - HOA's Photo Gallery: Couplet of political poetry from "Exodus", by poet and journalist Khalid Mohammed Osman designed on coloured animation with light yellow rectangle. 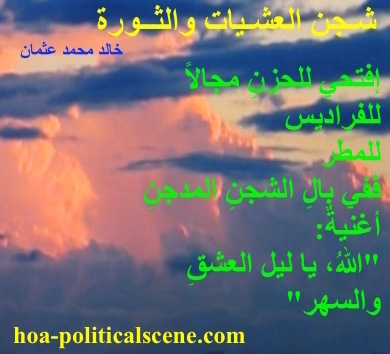 hoa-politicalscene.com - HOAs Photo Gallery: Couplet of political poetry from "Revolutionary Evening Yearning", by poet and journalist Khalid Mohammed Osman designed bad weather coloured sky. 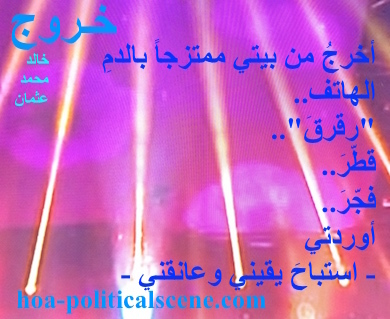 hoa-politicalscene.com - HOAs Photo Gallery: Couplet of passion poetry from "Creation", by poet and journalist Khalid Mohammed Osman designed on a picture designed in blue by the poet. 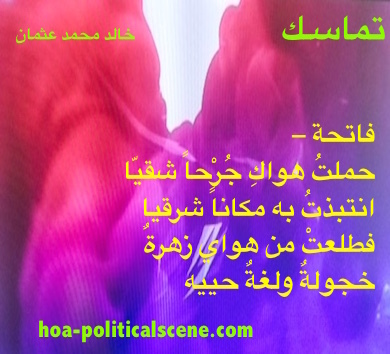 hoa-politicalscene.com - HOAs Photo Gallery: Couplet of political poetry from "Consistency", by poet and journalist Khalid Mohammed Osman designed on beautiful mixed colours. hoa-politicalscene.com - HOAs Photo Gallery: Couplet of political poetry from "Consistency", by poet and journalist Khalid Mohammed Osman designed on beautiful orange colors. 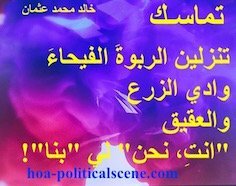 hoa-politicalscene.com - HOAs Photo Gallery: Couplet of political poetry from "Consistency", by poet and journalist Khalid Mohammed Osman designed on beautiful viola, red, pink and orange colors. 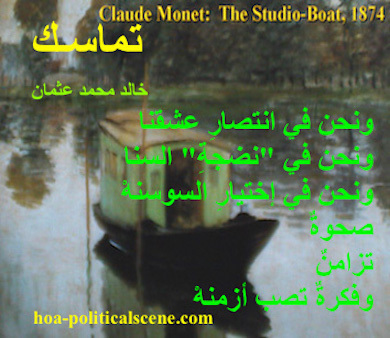 hoa-politicalscene.com - HOAs Photo Gallery: Couplet of political poetry from "Consistency", by poet and journalist Khalid Mohammed Osman designed on Claude Monet's Painting "The Studio Boat", 1874.
hoa-politicalscene.com - HOAs Photo Gallery: Couplet of political poetry from "consistency", by poet and journalist Khalid Mohammed Osman designed on glamorous partitioned blue design. نفس المقطع الشعري من القصيدة أعلاه. 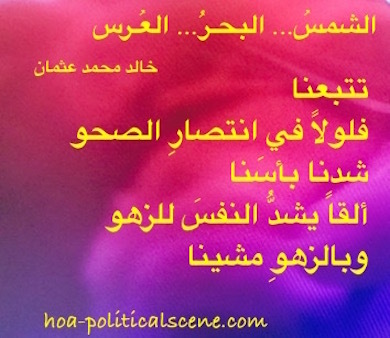 hoa-politicalscene.com - HOAs Photo Gallery: Couplet of love poetry from "Weaning of Vigilance", by poet and journalist Khalid Mohammed Osman designed on beautiful picture. hoa-politicalscene.com - HOAs Photo Gallery: Couplet of political poetry from "A stick", by poet and journalist Khalid Mohammed Osman designed on beautiful design. I have a feeling that you liked the HOAs Photo Gallery. So, be active and share it. Forward this link to your friends through the form at Forward HOA PoliticalScene. You can easily pin the pictures using the small buttons below them. Use the following form to comment, or to write literary snippets from your own literary works. Comments, or new literary entries on the HOA Photo Gallery appear at the section of the page below the comments form.